Erin is a graduate of Western Washington University. She holds a Bachelor of Science degree in Environmental Science with a Marine Ecology focus. Erin has hands-on experience involving research on water quality and salmon runs, and in conducting forage fish surveys, amphibian identification, and survey guidance. Erin Harker is a Staff Wetland Scientist with ecological experience in both field and laboratory settings in the Pacific Northwest. 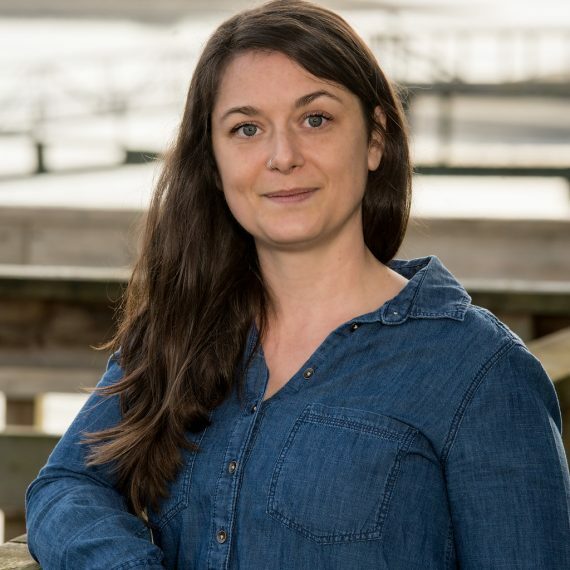 Erin has experience conducting salmon surveys, marine mammal hydro-acoustics research, invasive plant identification and removal, environmental education, mitigation monitoring, and wetland and riparian restoration. She has gained hands-on experience involving research on water quality, amphibian surveys, and restoration project performance. Erin is proficient in collecting and analyzing environmental data; riparian restoration and wetland mitigation monitoring principles and techniques; analyzing local, state, and federal environmental code and regulations; and technical writing. Erin has additional experience engaging students in a suite of environmental curriculums. She currently assists clients through the various stages of land use planning by conducting environmental code analysis; preparing environmental assessments, mitigation reports, and biological evaluations; and completing permit applications. Erin graduated from Western Washington University with a Bachelor of Science degree in Environmental Science with a Marine Ecology focus. She has received formal training through the WSDOE and Coastal Training Program in conducting forage fish surveys; using the credit-debit system for estimating wetland mitigation needs, determining the ordinary high water mark; Puget Sound coastal processes; conducting eelgrass delineations; using the 2014 wetland rating system; using field indicators for hydric soils; and administering permits in the shoreline jurisdiction.